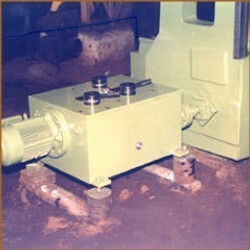 We manufacture and export all kinds of Industrial Gearboxes. 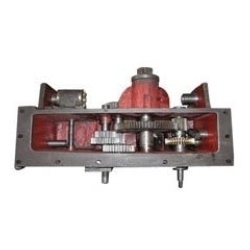 This category includes apron gear box, reduction gear box for planomillers, gear boxes. Our experts hold an in-depth industrial experience and are well aware with the related procedures that could help in delivering effective repairing and servicing over the range that we offer. We have been offering a precision engineered range of Apron Gear Boxes which is customized as per the specifications of our clients. 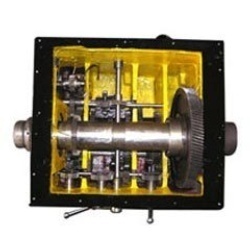 These gear boxes are designed and developed after a thorough research and development. Checking these gear boxes for quality at regular intervals, we make sure that there remains no flaw in the range which is being delivered to our clients. We are the renowned manufacturers of a wide range of Reduction Gear Boxes For Planomillers. These boxes are used for reducing the input speed that results in the slower output speed and increased output torque. Available in various sizes, designs and configurations, these gear boxes are robust in construction, air tight and dust proof. Further, we also provide customization as per the technical specifications detailed by client. We make use of latest technology while manufacturing our wide range of all Gear Boxes. These gear boxes are designed and developed under the surveillance of our mechanical engineers who hold in-depth industrial knowledge. These gear boxes are properly customized as per the specifications of our clients and are packed in proper packing material to assure the maximum safety of our range. Looking for Industrial Gearboxes ?